It was just announced that country music star Miranda Lambert will perform at the Bradley Center on April 19th. 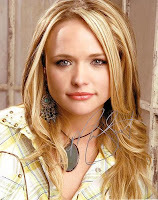 Ticket King Milwaukee will be your source for Miranda Lambert Bradley Center tickets as soon as they are available. Lambert arrived on the country music scene after gaining fame from being a finalist on the country music show Nashville Star in 2003. Her first album, Kerosene, came out it 2005 and immediately soared to the top of the Billboard country charts. Since then, she's released several more albums and won all kinds of country music awards including "Top Female Vocalist of the Year" at the 2011 Academy of Country Music awards. Most recently, Lambert released her fourth album aptly named Four the Record. In addition to her solo work, Lambert started an all-girl group called the Pistol Annies. If you're an avid Law & Order: SVU fan, you would have seen Miranda Lambert's acting debut on the show's most recent episode. Lambert is married to fellow country music star Blake Shelton. I wonder if he'll make a guest appearance during her concert at the Bradley Center.